Businesses could always use a little more praise. When you are doing something right....you should hear about it! 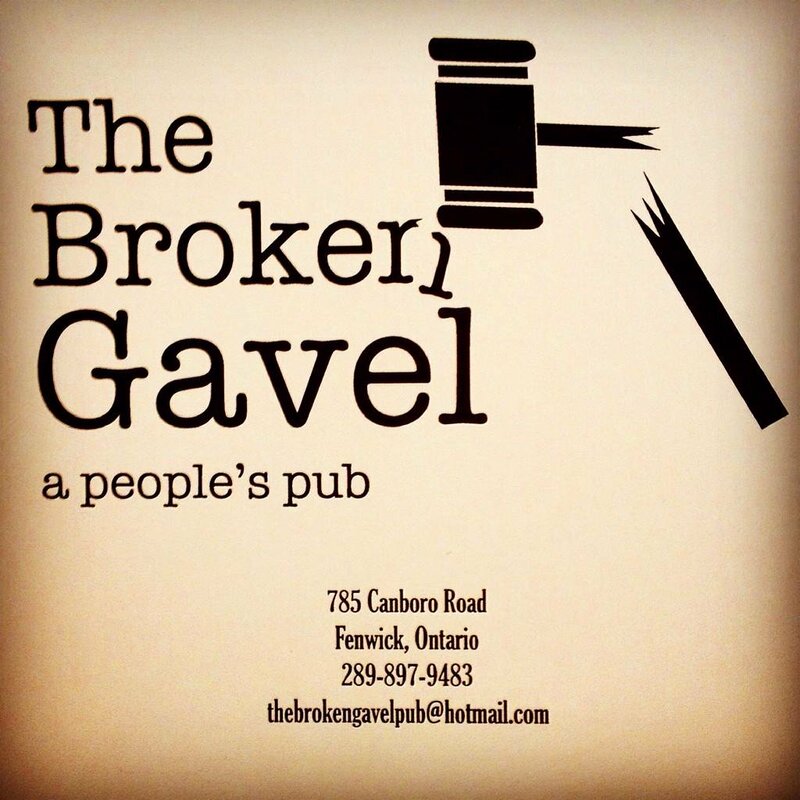 I had the pleasure of dining at The Broken Gavel in Fenwick last night. It sure was a cold one out, but inside was a warm and inviting atmosphere. This charming little place has phenomenal staff that really are as charming as the establishment itself! With a great menu to choose from the decision was difficult, but I was not sorry with my choice. Enormous portions, well priced and delicious. Only a few minutes down the road from me but I would suggest anyone make the drive to one of my new favorites. Cheers to a small town business that clearly has it going on. 2017 A Boom in Resort Purchases by Generation X? It would only be fitting that the file on my desktop be labeled “The X Files”. Specializing in Resorts and the tourism industry, I often see trends emerging from one year to the next and 2017; according to my “X File,” is going to be a boom in the tourism sector, specifically resort purchases by Generation X. Born from the mid 1960’s-1981 is the era of Generation X. Often referred to as hanging off the coat tails of the Baby Boomers, this 66 million strong generation is anything but a tail hanger. Generation X is considered the highest educated, independent, resourceful and self sufficient of the generations, with a power house of strength, dedication and vision to change the world…Elon Musk ring a bell? This generation has come to realize that a financially stable retirement is not in the near future. An alternative income source with a main focus on quality of life is on the radar. With a casual disdain for structured work hours, and a dislike of being micro-managed, Generation X are calling on their natural entrepreneurship abilities to find something with purpose, a flexible life/work balance, and something that is personally rewarding. Where rewards are genuine and not just another plaque on the wall. They are searching for a ‘boutique’ style atmosphere where owners can showcase unique style in decor, offer some culinary delights and perhaps teach a kid or two to fish off a dock. Personalization to offer their guests quality service at a reasonable rate and make each and every stay a memorable one. “Success is being in charge of your lifestyle and creating something you’re proud of, surrounded by people you love” – Troye Sivan. According to Staples Business Advantage “64% of Generation X consider the availability of fresh food and wellness programs,” to be in the top ranking for job satisfaction. Generation X works to live, not lives to work. Family always comes first. So it seems they are taking what they are missing from their full time jobs and implementing them into creating the perfect work environment for themselves. Sounds like the Canadian dream! At this moment, the demand outweighs the supply of Resorts for sale. Will this start creating a rise in resort prices? Not in my opinion. There will be no cashing in on this band wagon for resort owners in 2017. Purchasers are Generation X. They work hard for their money, know where they have come from and envision where they are going. They want the facts from me. Although property size, water frontage, condition and key features of buildings and location do play a role and reflect on final list price of a property, these are used cautiously. Fact: I may view a property in a killer location that I know will draw from several major area’s; but the buildings are in severe disrepair, no clientèle to speak of, business is hurting. I may see several new income streams that we could build on. Is a purchaser going to pay top buck? Nope. It takes industry knowledge to know how much something is worth (not to purchase potential). Real Estate is worth what a purchaser is willing to pay for it and Generation X aren't cheap but they are not stupid so 2017 is going to be a year of well priced resort properties. If they are well priced, they will sell. This Generation X, aka “The X Files” I am one of them. I grew up in the era of broken families, high education costs, latchkey kids etc. as we are stereotyped. That is what taught all Gen X’s to be amazing individualists with strong morals, balanced family life, wholesome people with confidence not ego’s. They weren’t hanging on any coat tails…they didn’t understand why you were confined to wearing a coat in the first place! So You Are In The Market For A Winery? You have passion, you have soul, and you want to bring forth from the land, forge your path in this world and be known as a legend in your time. Don’t we all. It takes all that, hands down, to own a winery. But it also takes the winery that calls to you, the one you have the vision to create, the one you know you can fly with. You see the world and acknowledge the changes in the industry and what consumers are searching for and you know…you just know…you can do this. As you know; there are so many business options out there and some of us look for return on investment only, some look for franchises or hands off investments, it takes quite a character to be in the market for a winery. Being an Engel & Volkers Advisor in Canada I am exposed to some pretty phenomenal businesses and have the privilege of representing innovative, brilliant clients. Wineries…they are a tricky business; and their owners? Some of the most passionate, remarkable people I will ever meet. My story of one winery. Yes, that’s right…actually the only one of its kind. When approached by these clients to list their property for sale, I asked as I always do… “tell me your story”. Behold, perhaps the greatest story and people that I have had the pleasure of representing. These ain’t no grape growers! Our climate in Canada; Ontario especially, is temperamental and grapes have the tendency to be just as temperamental and somewhat delicate to diverse temperatures and pests. With our world becoming more and more health and environmentally conscious with regards to what we are putting into our bodies and how it is produced played a strong roll in their decision as to what, where and how to create their orchards and winery. 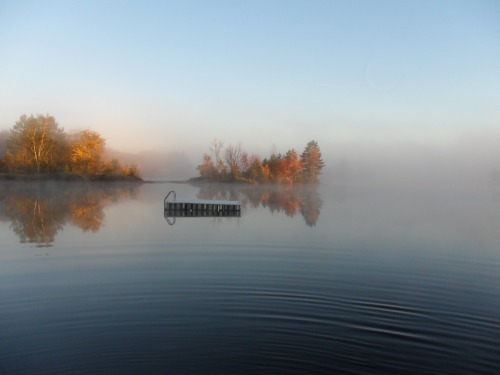 Purchasing 160 acres in the Boreal Region of Northern Ontario; after months of soil samples and research, was the first step. Following a few more years of what I would call scientific experimentation into the unknown realm of how do we create what has never been done before. Now after 7 years, with 4 in production, here we are. First rule in business…any business. Be unique. Or be the only one in the world that does what you do! They are the only commercial certified organic haskap winery in the world. Producing Haskap, Sea Buckthorn, Aronia, Saskatoons, aka: Super Berries, Tart Cherries and Mara Des Bois Strawberries. The orchard is the largest certified organic boreal and arctic berry orchard in North America. The highest antioxidant berries known, sustaining frigid temperatures and being able to tolerate being smacked with record breaking Canadian freak storms, these “super berries” are pretty super in more ways than one. With that being said…If you are going to drink wine….drink the wine for good health! I may add here on a personal note being a migraine sufferer myself…wine without the pain has been tried, tested and true. Being organic, bio-dynamic and now in the process of becoming Kosher Certified, they are ground breakers and road pavers in the industry. Producing award winning wines and ciders. The orchards feed the winery to produce the wines and ciders as well as a steady income of berry sales to major companies and establishing and owning the Haskap Association of Ontario, all cards are in place here! With Hand picked fruit to limit bruising, hand pressed for extraction in its purest form and bottled in the organic certified processing facility certified to Canada, USA, Europe and Japan standards, we are rolling here! This is truly a new beginning in the wine industry. I only have the pleasure to list this remarkable business for sale. You have the opportunity to purchase it, grow it (if you want to) make it your own…and become the legend you always knew you could be. It is not as difficult as you may think. The owners have a full training program already in place with everything you need to carry on their dream and make it your own. Dealing in commercial real estate I certainly know from experience when you are looking for financing; whether through a financial institution or private investors, it can prove to be grueling and not always work out the way you had planned. Having the owners hold a mortgage for you and requesting only 20% down, this is the pot of gold at the end of the rainbow. Don’t get me wrong here…a dream of owning orchards and a winery is a beautiful thing, but the actual steps these clients had to take, the hurdles and hoops they jumped through and over, the literal blood, sweat and tears to get to where they are today took some of the greatest strength you could imagine. But the good news is…those steps are taken. Walk on from there and begin your own journey. For the most innovative start up, ground breaking business practices, growth potential and already down right successful business of the year: Boreal Berry Farm & Winery. Sometimes as an advisor in real estate I see businesses that the feasibility study has been completed, business plan top notch, funding in place, product is fantastic, there is a market for that product or service, all the channels for service or retail or export are open and it’s just left to…lets rock and roll. What is missing here…ummm….well if you do not believe in your product, if you do not know your product as well as you know yourself, if you do not have the passion required to create and maintain a great business, no matter what well laid plans are in place…success will never be yours. Cheers to always having enough passion and strength in you to create your world.